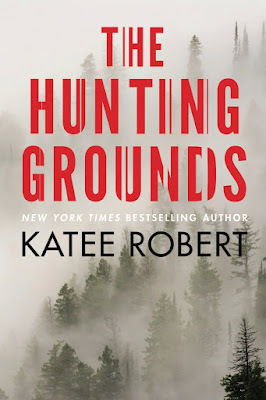 Reese's Reviews: Release Week Blitz of THE HUNTING GROUNDS by Katee Robert! 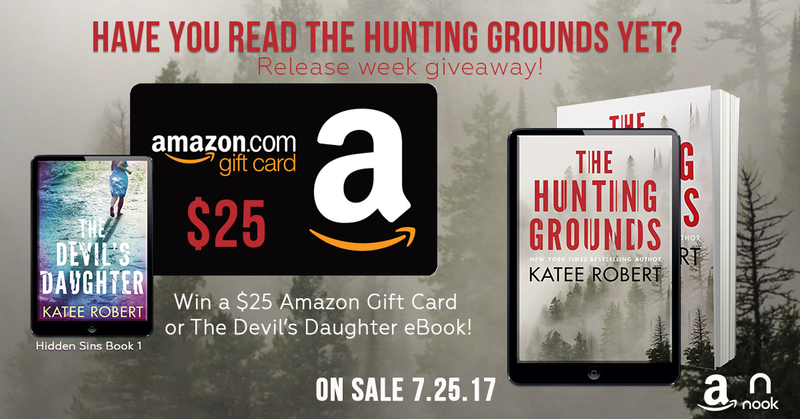 Release Week Blitz of THE HUNTING GROUNDS by Katee Robert! Release Week Celebration for THE HUNTING GROUNDS by NYT Bestselling Author, Katee Robert! Katee Robert has my heart. No lie I fell in love with her books a long time ago and her books have only gotten better. 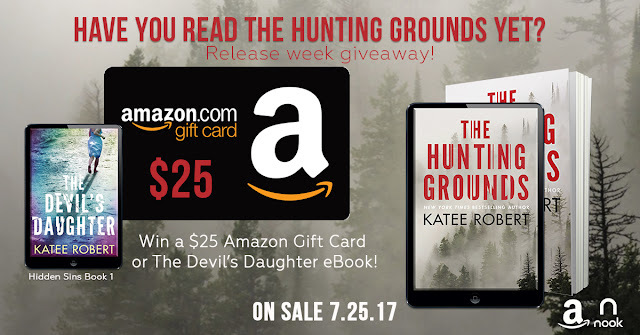 I read The Devil’s Daughter when it was released and loved it. I never knew what was going to happen next, or who was going to die. The perfect mystery/suspense story. I was a little disappointed when I thought The Devil’s Daughter would be a stand along, but lucky for me it wasn’t. The Hunting Grounds was absolutely amazing. I couldn’t put it down for even a few minutes. 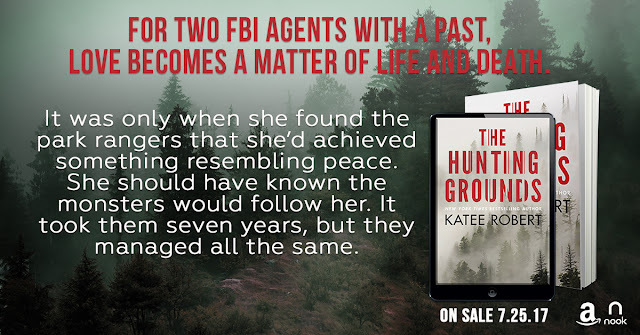 Maggie Gaines left the FBI after her first case went bad. She was top of her class and ever since she left seven years ago her biggest regret has been not being good enough. 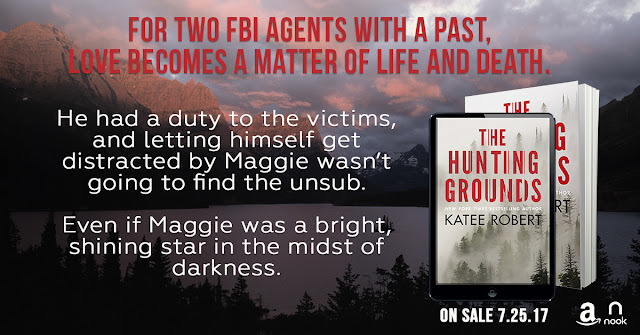 Now Maggie is a park ranger and she thought the bodies and murders were behind her. That’s when the first body shows up and so does her old partner Vic Sutherland. Maggie is a no nonsense kind of girl. She harbors a lot of resentment over not being able to “cut it” in the FBI after her first case went terribly wrong. She also had a huge crush on her partner Vic Sutherland, who was married at the time. I loved Maggie’s character. 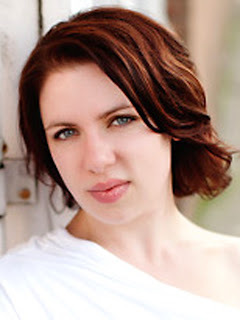 Kate Robert did a great job making both the characters seem so real, like Maggie and Vic were people we knew. Maggie doesn’t really enjoy interacting with people, but she cares about the people under her protection. One of my favorite aspects of this story was when Maggie started slowly using her FBI training and how well she did under pressure using her park trainer along side her FBI trainer. Vic Sutherland was interesting as well. I got to meet him in The Devil’s Daughter and was glad he got his own story. Vic has a lot of his own demons from his divorce and how things went wrong with Maggie. Vic does a lot of worrying in this story about Maggie and I enjoyed how much he began to kind of lose his cool whenever Maggie was involved. Overall The Hunting grounds was an amazing story. I was constantly left guessing about who was who. 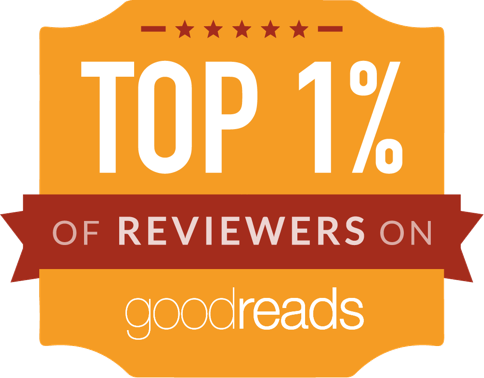 Everything was a little terrifying and I felt along with the characters which is just indicative of good writing. This is definitely a must read.